A stunning new report has just come out describing ongoing and systemwide failures by federal student loan servicing companies to manage student loan accounts. The report blames both the servicers themselves and the U.S. Department of Education for its failure to hold these servicing companies accountable for their actions. Remarkably, the report was issued and released by the U.S. Department of Education itself. The legal landscape of student loan servicing and for-profit schools is a bit like the Wild Wild West right now. There aren’t a whole lot of rules and oversight, and unfair and deceptive practices towards student loan borrowers are fairly widespread. And in our federal legal system, where we have parallel government structures at the federal and the state level, we are seeing a major divergence in prioritizing student loan borrower protections. One the one hand, the federal government has been actively undermining the few student loan protections that had already existed. Education Secretary Betsy DeVos rescinded Obama-era guidance that was intended to incentivize better treatment of student loan borrowers by servicers, and her administration has been trying to gut student loan forgiveness protections available to people who were defrauded by their schools. At the same time, the Consumer Financial Protection Bureau (CFPB) has, under new leadership, effectively decimated its student loan oversight unit. Suffice it to say, right now the federal government is not doing much of anything to protect student loan borrowers. But at the same, states are stepping in. State attorney general’s office are playing a big role in advocating for student loan borrowers by bringing lawsuits against servicers such as Navient and FedLoan Servicing. And state legislatures have also been stepping up and trying to pass new legislation that offers protections for borrowers at the state level. A handful of states have already passed state-level “bills of rights” specific to student loan borrowers. And more may be coming. Last week, the New York Attorney General’s office reached a $9 million settlement with ACS – one of the country’s major student loan servicers – for systematically harming student loan borrowers by misinforming them, misleading them, misapplying payments, and more. As far as I can tell, no one who works with student loan borrowers is surprised. The types of problems that the New York Attorney General’s office found are widespread, and by no means limited to ACS. The Consumer Financial Protection Bureau (CFPB) has reported extensively on rampant student loan servicing problems throughout the industry. Major lawsuits brought by other state attorney general’s offices are still ongoing against giants such as Navient and the Pennsylvania Higher Education Assistance Authority (PHEAA), which also runs FedLoan Servicing. Even smaller servicers such as ECSI have been under investigation. Why is Student Loan Servicing a Mess? It doesn’t take a rocket scientist (or a student loan expert) to understand what’s going on here: the federal government outsources the servicing and day-to-day operations of its entire student loan portfolio to a handful of private companies. And it pays them handsomely; one servicer, Nelnet, made more than $200 million in profits in 2016 alone. But there is virtually no oversight of these companies, and no accountability. It’s often up to individual states (usually via proactive attorney general offices) to try to protect borrowers, leading to a patchwork of enforcement actions that can sometimes get results (like we just saw in New York) but doesn’t always lead to systemwide change. Well, it’s the day after Election Day 2018. Analysts and pundits are still trying to figure out what the election results mean nationally. However, today I want to focus specifically on student loan borrowers. Brace yourselves. Major student loan servicing changes are coming. First, some quick background. Most federal student loans are either owned directly by the U.S. Department of Education via the “Direct” loan program, or are held by a private lender via the now-defunct “FFEL” program (also known as the “guaranteed” loan program). 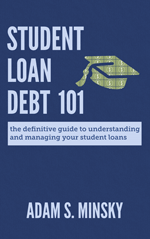 The vast majority of Direct and FFEL student loans are not handled by the lender, however. Instead, the lenders hire contractors – called student loan “servicers” – to manage the day to day operations of the loan accounts such as payment processing and application evaluation. 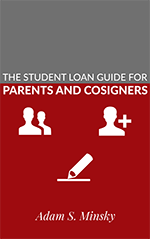 These servicers generally do not own your student loans, even though you have to deal with them to do anything with your account. They are simply contractors working on behalf of the lender. The U.S. Dept. of Education released a report this week on the Public Service Loan Forgiveness (PSLF) program – and the details are rather stunning. First, some background. 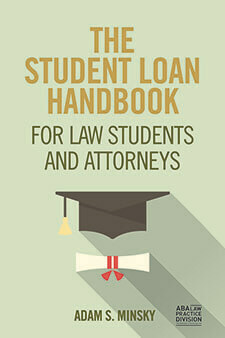 To get student loans forgiven under the PSLF program, borrowers must make 120 “qualifying payments,” which are payments that (1) are made on Direct federal student loans, (2) under a qualifying repayment plan – which is either the 10-year Standard plan or an income-driven repayment plan, while (3) working full-time for a qualifying public service employer. The program was not enacted until October 1, 2007, and it’s not retroactive to before that date. This means that the soonest anyone could have been eligible for loan forgiveness was October 1, 2017. Since so few people knew about the program during the first few years of its existence, not many people have qualified so far. However, nearly 12 months into the “eligibility era” (as I call it), we haven’t had much specific information about the number of people applying. There is quite a lot going on right now when it comes to student loans. It seems that every month there’s a new bill or a new rule that could significantly impact student loan borrowers. But keeping track of it all can be a bit overwhelming. Legislation – or a proposal for a new law – must be passed by a law-making body like Congress (at the federal level) or a state legislature (at the state level). Congress, and most state legislatures, have two chambers – the House and the Senate – and legislation must pass both chambers, and be signed by the President (or a Governor) to become law. Regulations (also simply called rules) can be created by executive agencies, such as the U.S. Department of Education. Agencies have broad powers to issue new rules or regulations under existing statutes, which can dramatically impact programs that were already created by previous legislation. When agencies create new rules or regulations, they have to follow a formal process before they can go into effect, but they do not typically require approval by Congress (or an equivalent state legislature). A couple of months ago, Congress passed new legislation expanding eligibility requirements for Public Service Loan Forgiveness (PSLF). That legislation gave the U.S. Dept. of Education 60 days to create formal notice and a procedure for evaluating applicants requesting forgiveness under this expanded program. We haven’t known what the procedure would be, and how or when borrowers could gain access to this program – until now. And, unfortunately, I think it’s going to be a mess.